Mobile Access Working Platforms (MEWPs) are powered lifting machines used to provide temporary access for people or equipment to inaccessible areas, usually at height. They are generally used for temporary, flexible access purposes such as maintenance and construction work. 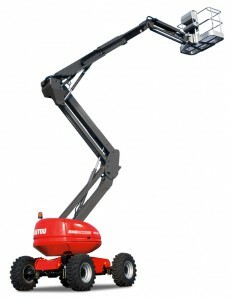 They are designed to lift limited weights (usually less than a ton, although some have a higher safe working load (SWL), They are usually capable of being fully operated (including setup) by a single person. Kent Forklift Training offer training on the 2 most commonly used machines, the Mobile Boom and the Mobile Vertical. The Mobile Boom, previously known as a Self Propelled Boom, come in 2 main varieties, Telescopic Booms and Articulating Booms. As well as variations in lift heights – up to 150ft (45 Metres +) both access platforms can be powered by Diesel, Gas (LPG), Electric, Bi-Fuel. Both can be 2 or 4 wheel drive and are idea for rough terrain use. A type of lifting platform that can only move vertically and when fully extended can reach heights from 21 to 62 feet (6.4 to 18.8 meters) above ground depending on its size and purpose. 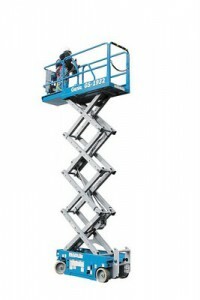 It is drivable at full height with an extending platform. TGS Forklift Training in Kent is able to offer many types of training other than just forklift training. 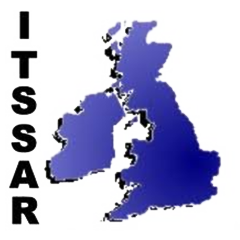 We ITSSAR Accredited which means that we can train on machines such as MEWPs and other safety training such as Manual Handling and Abrasive Wheels Training.